This week, we featured healthy in-season turnip recipes for your family. First up were Sweet Potato, Turnip, and Parsnip Latkes for an easy appetizer. 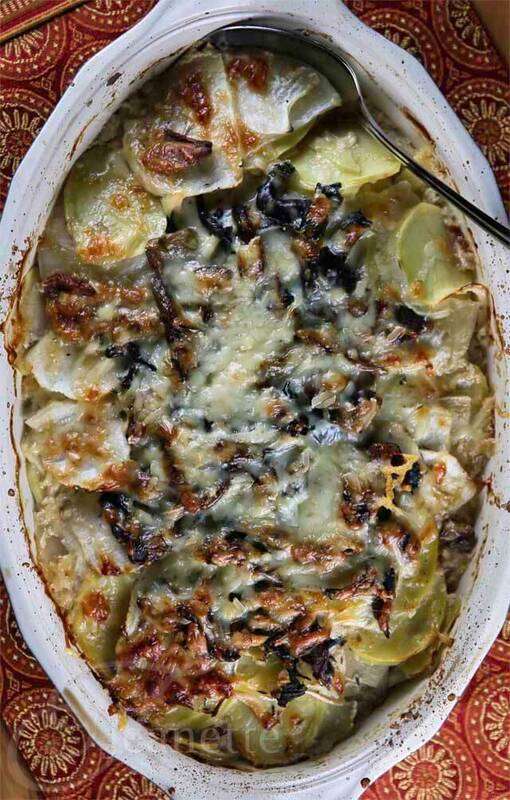 This Potato, Turnip, and Mushroom Gratin is a healthy and delicious side for any meal. This Red Lentil Soup with Chicken and Turnips is great for a cold evening. Mashed Carrots and Turnips are a tasty way to get your kids to eat their veggies. These Rosemary and Garlic Turnip Noodles can satisfy your pasta cravings.